Launched out of Anacortes and fished north towards Indian village. 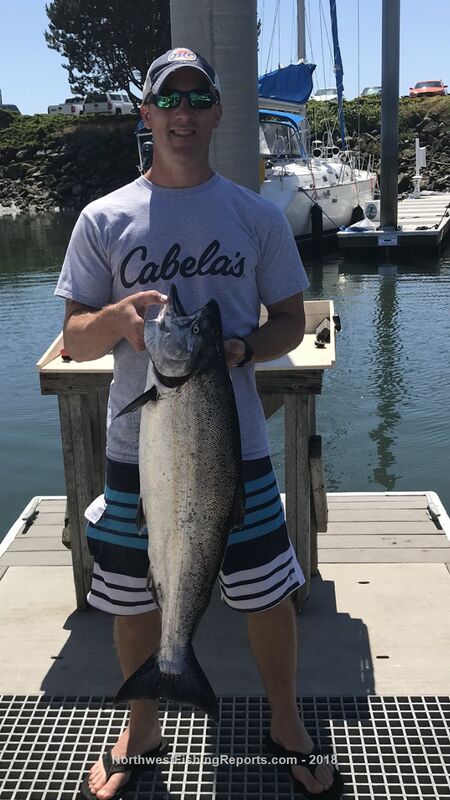 Fish started hitting around 10:00 and bite lasted til 11:30. Fished at 93ft with green flasher and green/yellow hootchie. Managed to pickup my first saltwater Hatchery king 36” and 25lbs!! Gave it a five star for my first salty king. View other reports from motley. Thx Dutchman! The picture doesn’t do it justice the tail was bent from sitting in a cooler! The filets were 12” wide!! Sweet! I can't imagine the fight and flavor of that fish. On the Upper Columbia we take what we can get. Although, they shut it down today.